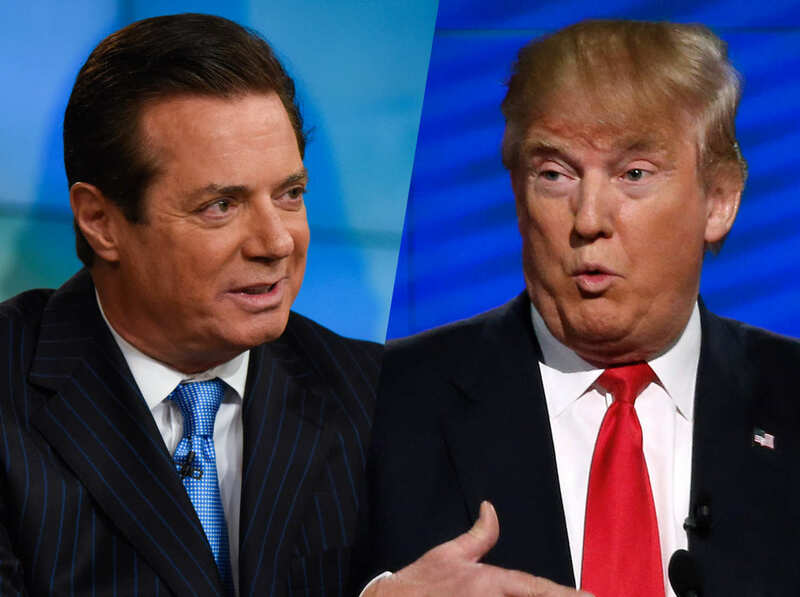 Why is Trump campaign chairman Paul Manafort denying that his staff worked to keep the Republican platform from supporting U.S. weapons deliveries to Ukraine? His claims about the episode contradict not only the facts, but also the candidate’s long-standing position on the issue. He would be better off just owning it. “So nobody from the Trump campaign wanted that change in the platform?” Chuck Todd pressed. “No one, zero,” Manafort said. That amendment passed, codifying the Trump staff’s language as official GOP policy. In an interview with ABC on Sunday, Trump confirmed that his people were behind the change. “They softened it, I heard, but I was not involved,” Trump said. He then went on to say that Russian President Vladimir Putin will not “go into Ukraine,” seeming not to realize that Russian troops intervened both in Crimea and eastern Ukraine in 2014 and remain there to this day. Manafort’s strange denial came almost two weeks after I first reported the Trump campaign’s intervention in the GOP platform on Ukraine. In the interim, the campaign passed up several chances to deny it. On July 19, a Ukrainian journalist asked Manafort in a press conferencewhy the Trump campaign had worked to weaken the platform language on Ukraine. “I really don’t understand the question,” Manafort said. Then on July 21, Trump’s chief policy adviser Sam Clovis defended the policy when asked about it at an event in Cleveland hosted by the International Republican Institute. The Trump campaign’s work to weaken the GOP platform language on Ukraine fits into a policy that Trump has espoused repeatedly on the campaign trail; he doesn’t believe that it’s the United States’ responsibility to defend Ukraine militarily from Russian aggression. Last September, he traveled to Kiev and told the Ukrainians that their war is “really a problem that affects Europe a lot more than it affects us.” A month before that, he called on Germany to take the lead on the issue. So why did Manafort bother to deny on Sunday that the campaign was involved in the platform change? Campaign sources told me that mostly, Manafort was acting out of habit. Just like when Melania Trump was accused of plagiarizing portions of Michelle Obama’s 2008 convention speech, Manafort’s initial instinct is to just deny everything and blame the Clinton campaign and the press. The day after Melania Trump spoke in Cleveland, Manafort told CNN that she was using “common words and values” and that any suggestion she had lifted passages from Obama’s speech was “absurd” and “crazy.” The campaign later admitted that multiple sentences had, in fact, been appropriated from Obama’s remarks by a staffer. Similarly, Manafort is attempting to sow doubt about what happened with the GOP platform’s Ukraine language, even though he must know that he is intentionally misleading the press and the public. Another possible explanation is that the Trump campaign is now trying to pull back from its long-held pro-Russian positions. Manafort has faced increased criticism for his years of work as a lobbyist for former Ukrainian president Viktor Yanukovych. And Trump’s sympathetic attitude toward Putin looks less politically viable as more evidence emerges about the Russian government’s involvement in the hacking of the Democratic National Committee and other U.S. political institutions. Though Trump publicly called on Russia to hack more of Hillary Clinton’s emails last week (he later said he was being sarcastic), today Trump is taking a more traditionally hawkish position on Russia. When I said in an interview that Putin is “not going into Ukraine, you can mark it down,” I am saying if I am President. Already in Crimea! Set aside that Trump is still wrong on the facts; Russia troops are already in Ukraine proper. Trump’s change of tone could be a recognition that his coziness to Putin is costing him credibility on the foreign policy front. Trump campaign aides assure me that Trump and Manafort’s basic views on Russia and Ukraine remain the same. They do not believe that the United States should risk a great-power conflict with Russia over Ukraine. They believe the greatest threats to Europe are Islamist terrorism and open borders, not Putin. They genuinely want to broaden and deepen U.S.-Russian relations. It’s too late to change the Trump campaign’s Russia policy, and there’s no point trying to deny it. Trump and Manafort should just admit what their staffers did and defend the action on its merits, if they can.